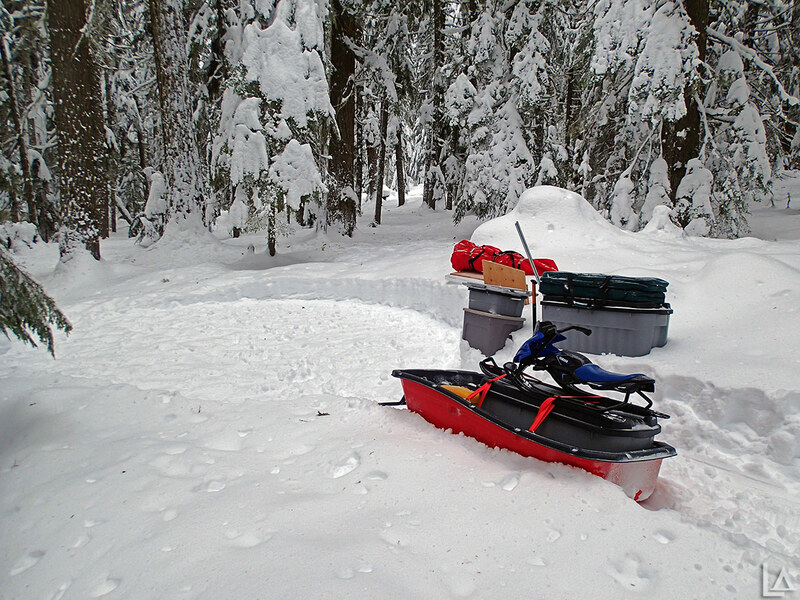 The annual snow camping trip with my friend Kyle had finally arrived. Unfortunately the weather forecast was less than stellar, with rain in the mountains in January. That's Western Oregon for you: never predictable which makes planning anything in advance difficult. 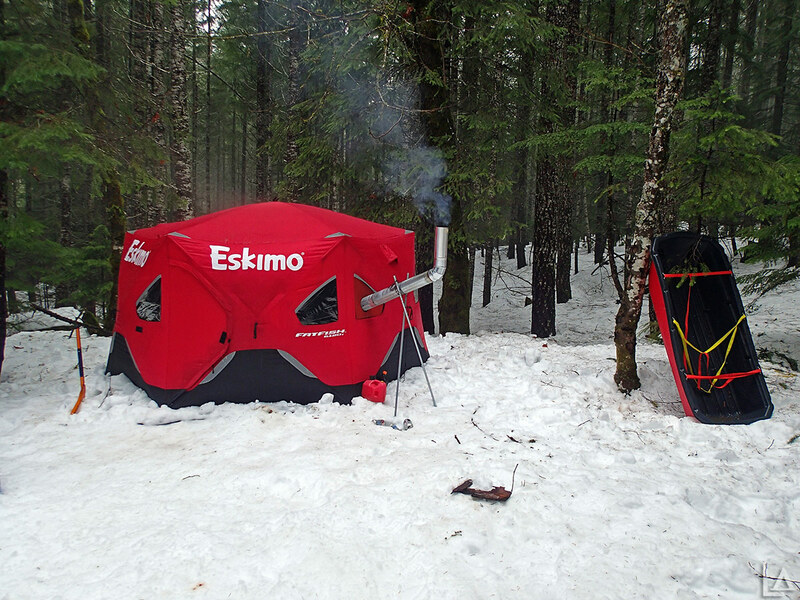 The Eskimo FatFish 6120i features up to 23% more fishable area than shelters with similar capacity and size. 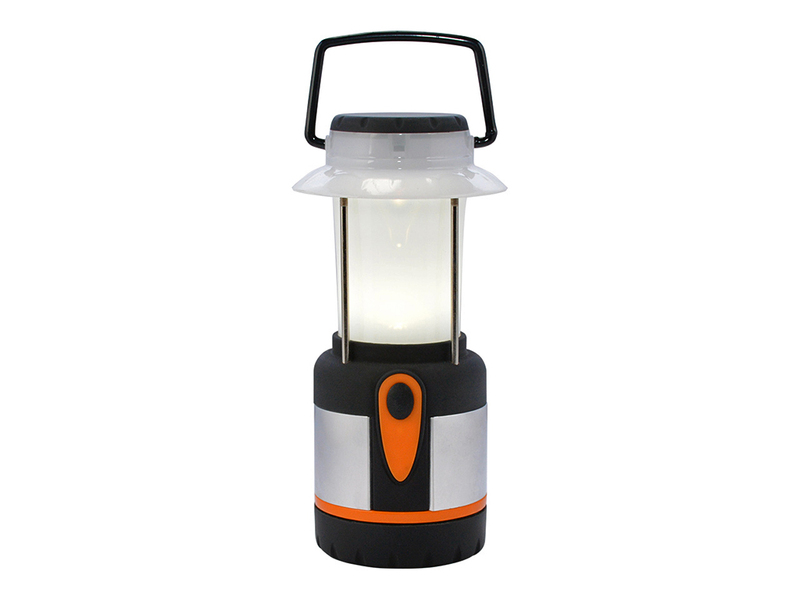 The FatFish 6120i is built with fully insulated 300 denier IceTight™ fabric which features a 59% higher thread count than similar shelter skins. 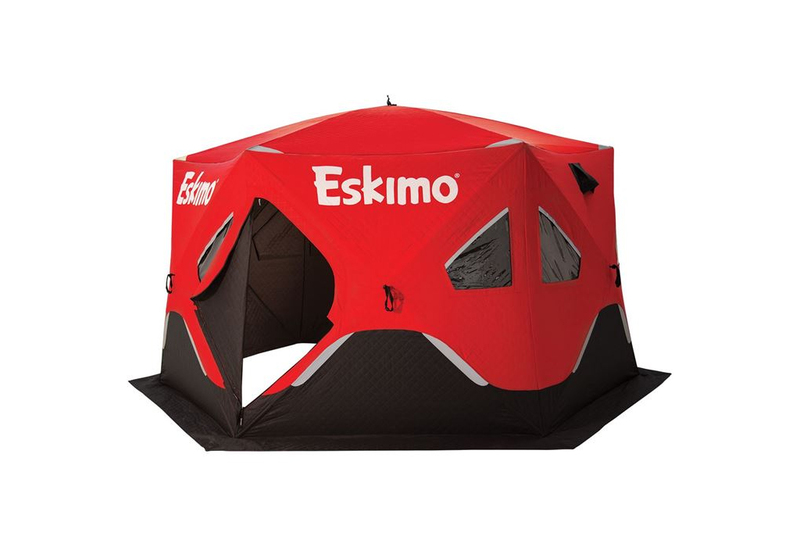 The portability, durable design and materials, ample storage pockets, removable windows, and two doors make the Eskimo FatFish 6120i pop-up shelter a great winter tent. 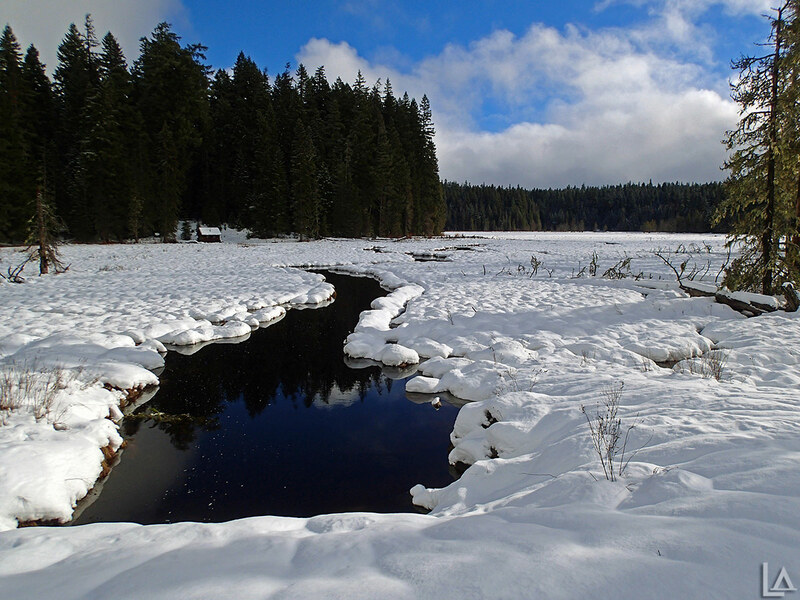 It has been a while since Katie and I have snowshoed, so we finally planned a trip Sunday to Twin Lakes. Our Mini Adventurer traveled along on my back. Twin Lakes are a pair of hike-in lakes near Frog Lake about 8 miles SE of Government Camp, Oregon. It's about a 2.2 mile hike each way to the first lake (the bigger of the two). It was a beautiful day today with the temperature around 28°F with partly cloudy skies. Frog Lake SnoPark was already packed with dog sled racers by the time we arrived around 8:15 AM. 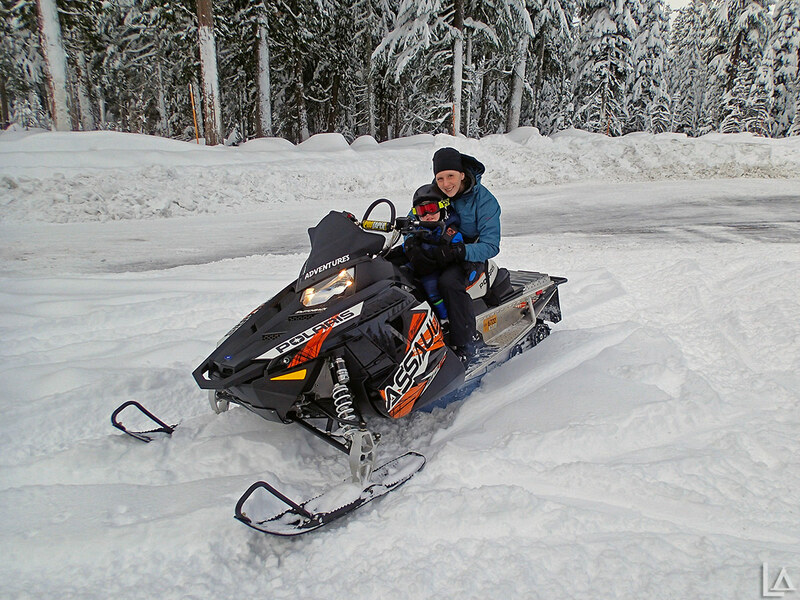 While Julian spent the day with "Grammy", Katie and I went to the mountain to snowmobile. Originally we planned to ride from Frog Lake SnoPark, but it was too busy with dog sled races, so we ended up nearby at Skyline SnoPark. It was snowing lightly and about 24°F which was quite a bit warmer than last weekend. 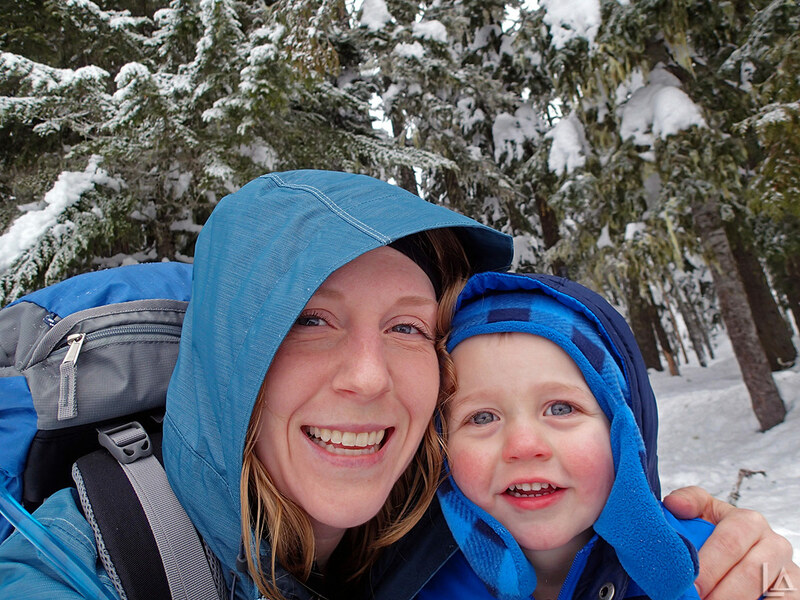 It's the new year, so it's time for another adventure - snow camping with a two year old. Even through we were working around a toddler's schedule, we still managed to leave only 15 minutes later than I wanted. Luckily we still made it to Skyline SnoPark before it became crowded. It was 9°F when we arrived with moderate wind and snow flurries. 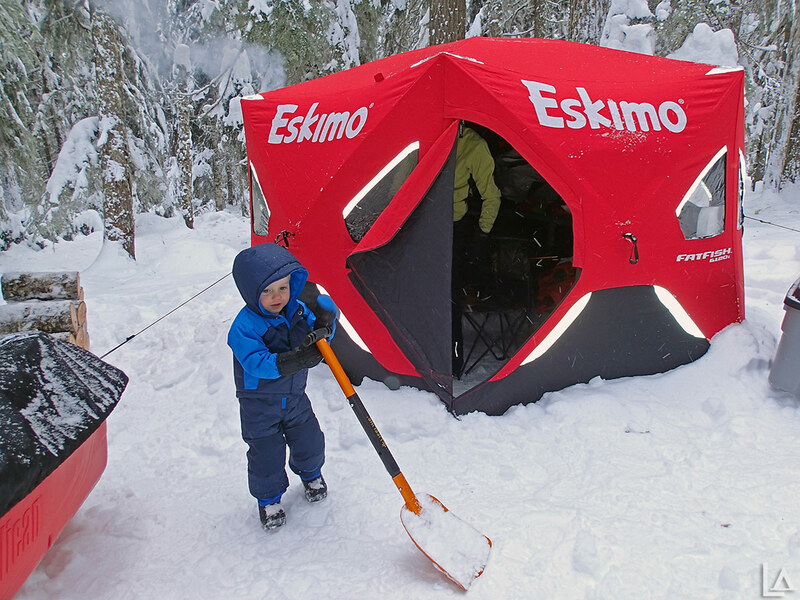 It was definitely going to be a cold snow camping trip. I had the last day of 2015 off today, so I took advantage and went up to the mountain to set up snow camp for tomorrow. I found a nice snow camping spot along Clear Creek not far from Skyline SnoPark a couple weeks ago, so Katie, Julian, and I plan to snow camp for one night on New Years Day 2016. Katie and I both had Christmas eve off work, so we went up to Frog Lake SnoPark with our Mini Adventurer to introduce him to snowmobiling. We pulled him in a sled behind the snowmobiles last year, but this was his first time actually riding on one. We have a harness that attaches a child either to the front (which is what we did) or the back of an adult rider. 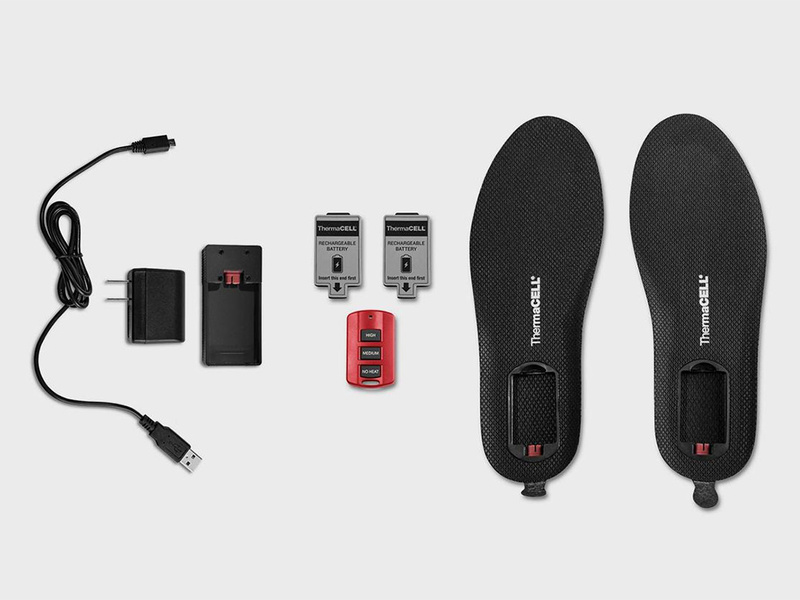 From Columbia Sportswear, "Now part of the Titanium line, we loaded this classic with the best of our technologies and materials. 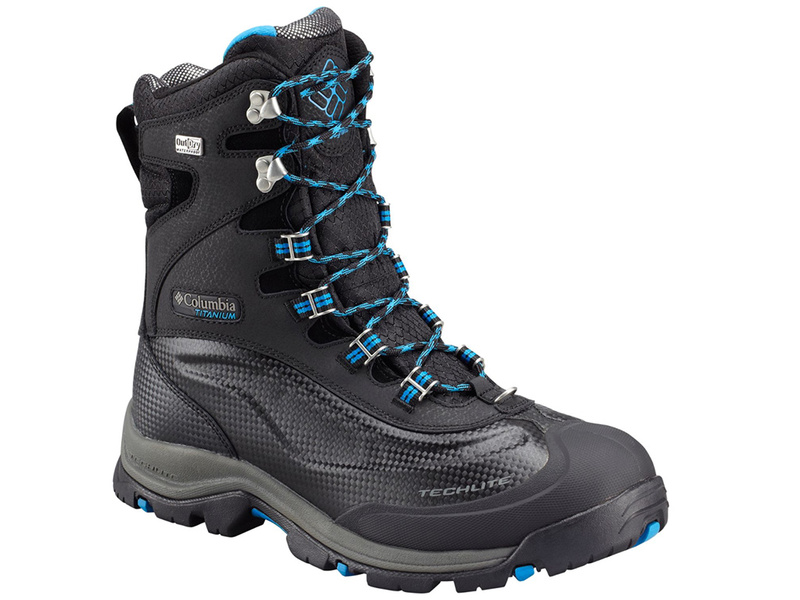 600g insulation and thermal reflectors make this super warm and waterproof boot perfect for days as cold as -65F/-54C." 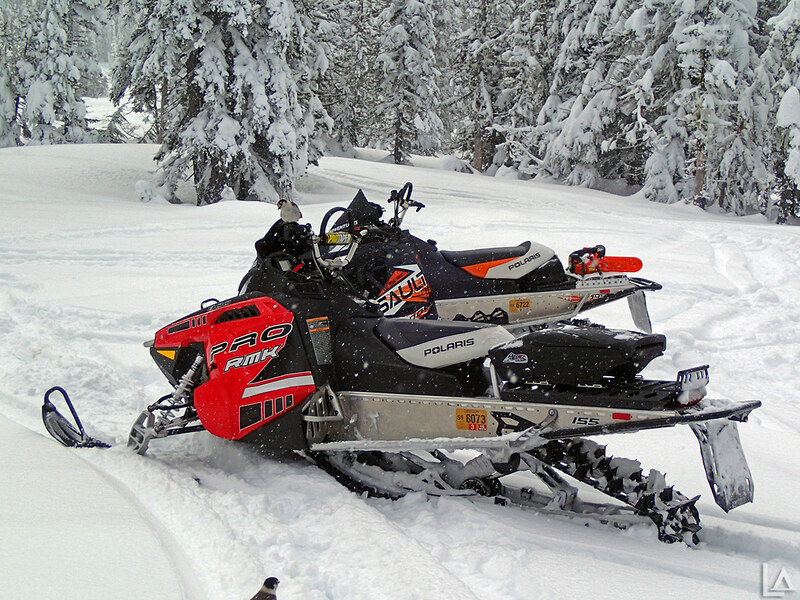 After a fun day snowmobiling yesterday, my friend Ryan and I headed to Frog Lake SnoPark today to ride. We were the first ones in the parking lot around 7:15 AM besides two cars that had been there overnight. It was about 28°F and dumping snow. My mother-in-law was kind enough to watch my son today, so I was able to go snowmobiling while Katie stayed home wrapping gifts and getting ready for the holidays. Due to the late notice, I wasn't able to find anyone to go with me, so it was a solo trip. There is snow at Skyline SnoPark this year, so I headed there to ride for the day. I didn't make it to Skyline snopark at all last season because of the lack of snow. I hope this season continues to be great. 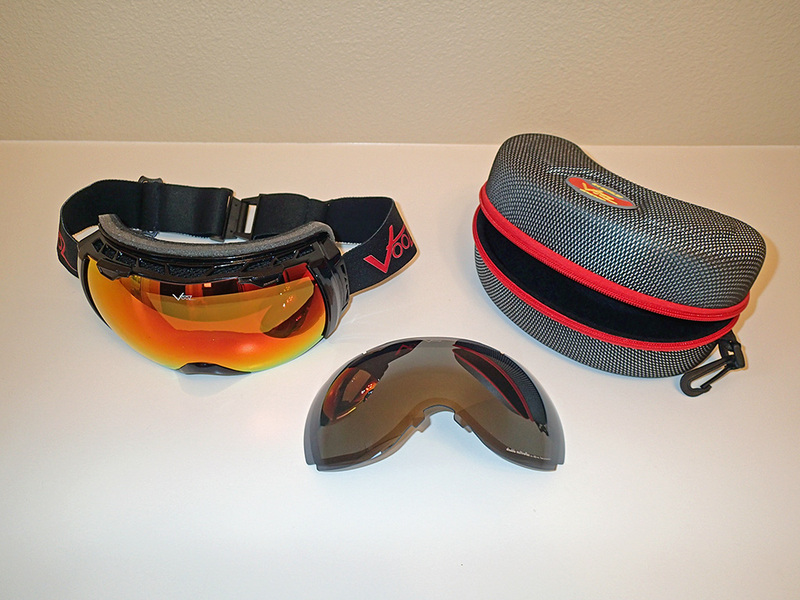 From Powder Keg LLC, "Equipped with a German-made large spherical lens, the VOOZ snowmobile goggle is a high performance goggle. 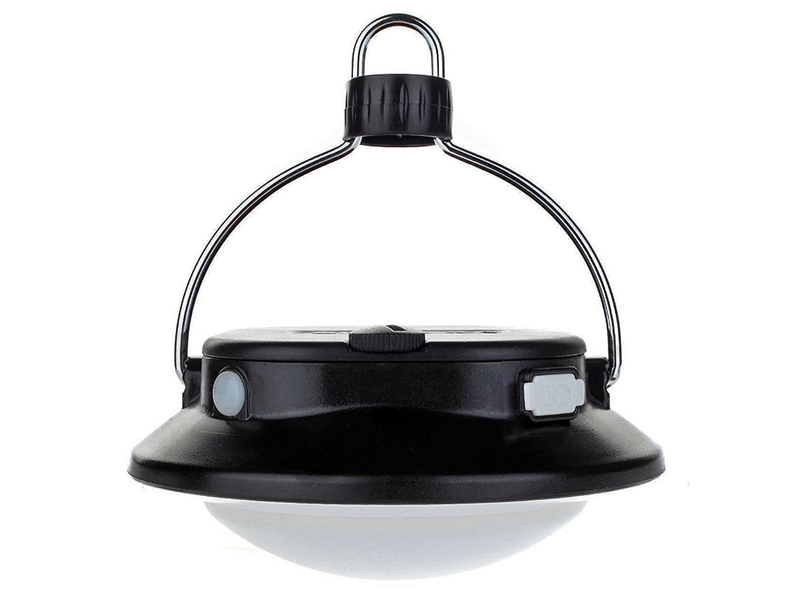 Anti-Fog technology, double-molded cylindrical lens, easy interchangeability, and perfect helmet integration." 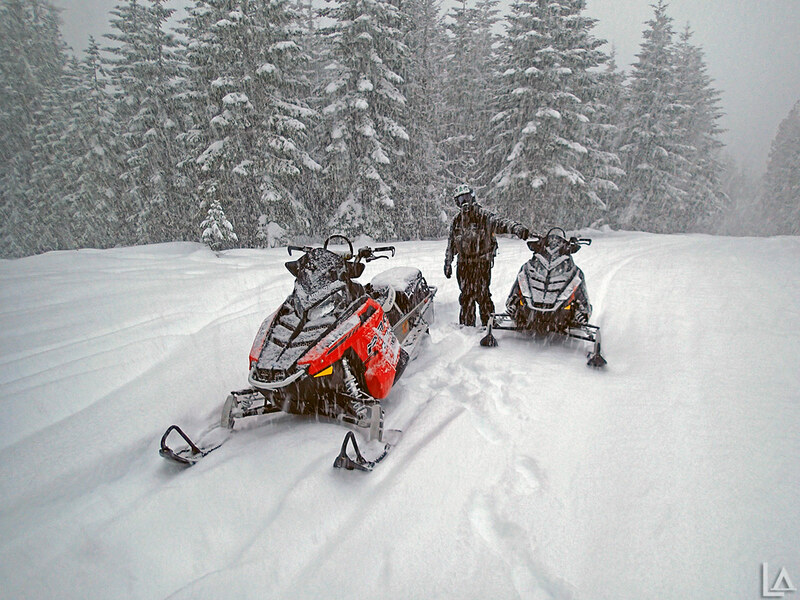 We had our first big dump of snow this season with over a foot at Mt Hood pass levels and over three feet up higher. 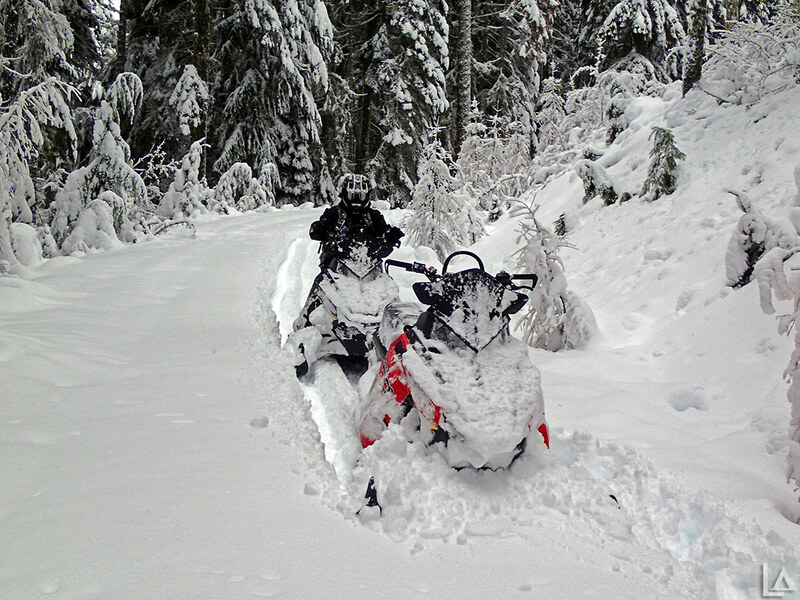 John and I were stoked to go snowmobiling Sunday. We drove up to Frog Lake arriving around 7:15 AM. There was one other trailer already, but they had stayed overnight. The snopark had not been plowed, so it was challenging getting my truck and trailer through a foot of slush underneath/snow on top mix.